Grandmaster Feng Zhiqiang was the 18th generation successor to Chen Style Tai Chi, and one of the prominent martial artists in China. His numerous posts and titles of honor include Board Member of the China Wushu Association, Advisor to the Beijing Wushu Association, Chairman of the Beijing Chen Style Taijiquan Research Association and President of Zhiqiang Wushu Academy. Grandmaster Feng was the beneficiary of two great teachers. Legendary Grandmaster Chen Fake, the 17th generation standard-bearer of Chen Style Taijiquan, regarded Grandmaster Feng highly, and passed on to him all he knew. Grandmaster Hu Yaozhen, a renowned practitioner of Xinyi Liuhe Quan and Qigong, also transmitted to him the true essence of his knowledge. 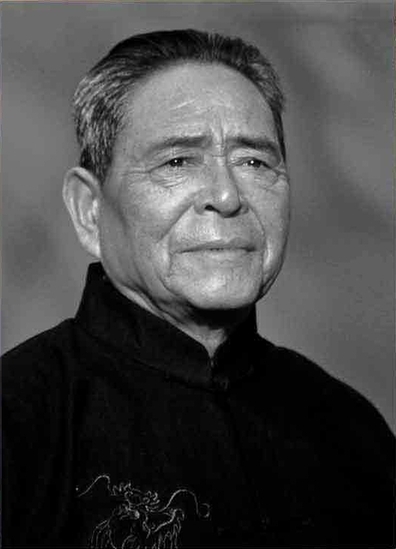 Because of his unique martial arts education and more than half a century of dedicated training and research, Grandmaster Feng was acknowledged as the foremost authority on Chen Style Tai Chi during the second half of the 20th century. Grandmaster Feng attached great importance to both inheritance and innovation. He created Chen Style Xinyi Hunyuan Taijiquan to express the true principle underlying the movements of all things ("hunyuan"). His system integrates Xinyi with Tai Chi and Qigong to provide both health benefits and self-defensive skills. The fundamental principle of Chen Style Xinyi Hunyuan Taijiquan is that, while designed for health and self-defense, it focuses on health; while alternating movements with stillness, it emphasize stillness; and while simultaneously training the internal and the external, it gives priority to the internal. Grandmaster Feng's guiding principle was that the internal and external should act in unison; the upper and lower body should follow each other; the whole body should move in coordination; and the Hunyuan integrity state should be cultivated. Grandmaster Feng taught Tai Chi widely and tirelessly for over 50 years. He published many books that generously shared knowledge that has never been publicly revealed. Tai Chi is a treasure of traditional Chinese culture, but he traveled to many countries to present it as a gift to the world. "A fruitful tree appeals wordlessly." Grandmaster Feng was revered at home and abroad for his moral force and peerless martial arts techniques. See faculty member Michael Dorgan's beautiful elegy for Grandmaster Feng.